Summary –This page acquaints you with what preventive measures one can carry out to safeguard Hard Drive Crash During Summers. Further, it also suggests services that provide hard drive recovery solutions to fix hard drives that have crashed because of the scorching heat that summers bring with it. Have you ever wondered what happens to your car if gets overheated? It can damage any crucial part of the engine or the motor itself. The same happens with other machines too, be it a computer or a laptop, a Windows or a Mac system. What happens if a computer gets overheated? If a computer gets overheated during summers, it may lead to several stability issues, reduce its performance, and may even adversely affect its lifespan. Most importantly, overheating causes failure in the hard drive, which is the computer’s crucial part that stores all data. Or say, an overheated computer may lead to hard drive crash. Why does a hard drive crash if a computer is overheated? We are aware that hard drive crash is a common phenomenon during peak summers. Falling between the Spring and the Autumn, this season of the year brings with itself scorching heat that impacts the environment. Even though hard drives do not consume much electricity yet they are very sensitive devices and react to both high and sudden changes in temperature, which, in turn, affect the lifespan and performance of the computer’s hard drive. How Temperature Affects Life Span of Hard Drives? Heat can create a significant impact on the lifespan of hard drives. High temperature decreases the life of heads of hard drives, and in turn, the lifespan of drives. Drives’ normal temperature is from 40°C to 50°C when in use and a 5°C increase can reduce the lifespan of hard drives’ life by approximately two years. This increase in temperature may also damage the hard drives’ components. In addition, it may reduce the fly height of the hard drive head due to which the head and the drive come in contact, further, physically damaging the drive. How Temperature Affects Performance of Hard Drives? An increased temperature, more than the maximum temperature that hard drives can withstand, reduces the performance of hard drives. If the temperature of the drive goes up to mid-60s, the sequential write speed drops to approximately 50MB/s. The drop in the write speed of drives is related to increase in the number of errors when operating in a high-temperature environment. What does hard drive crash lead to? When the hard drive of your computer crashes, it may stop responding the way it should or may stop functioning completely. This, thereby, will restrict you to access the data saved on it, or make the stored data inaccessible. In such a grim situation, hard drive recovery service becomes a priority to recover all data. But as goes the phrase: ‘Prevention is better than Cure’, it is better to take preventive measures to avoid any hard drive crash. With this, there are maximum chances that your drive will be fail-safe against crash and you won’t face data loss issue! How to extend hard drive life span? Another way of avoiding data loss from hard drive is by exhancing the life of hard drive. With proper handling of hard drives and by performing regular hard disk optimizations and disk cleanup commands you can extend life of hard drive. A healthy hard drives means less chances of data loss. Read here about how to extend life of hard drive. Before we delve into the precautionary measures, let us understand how increased temperature affects the life span, performance, and components of your computer. Always create and maintain a backup of your data in advance through any backup software or hardware device. In doing so, you will not be distressed by data loss situations if your drive crashes due to increased temperature during summers. Immediately shut down your computer if you feel that it has become too hot or the surrounding temperature has gone high beyond the limit that the hard drive can withstand. Avoid restarting your computer for a while after you have shut it down. Ensure that the fan of your desktop or laptop that is usually located either at the bottom or the rear of the computer is not blocked. This is to provide adequate ventilation which will further help in maintaining the internal temperature. Try operating your computer system in a room that is Air Conditioned so that the surrounding temperature is maintained at an optimal level that the hard drive can withstand. Power-off your computer if you are not using it. This is because if it is ON and not in use, it produces heat that can increase the temperature. Both heat in and heat out may prove to be fatal for the hard drive of your computer. Note: Heat-in is the heat produced from inside due to the working of your system and heat-out is the heat produced from the environment. You should ensure that the vents of your computer are not clogged. This is because it takes more heat to damage the hard drive if the vents of your computer are unclogged. This can help save your computer from overheating. What If Hard Drive Crashed Due to Increased Temperature? Avoid opening the drive on own. Evade tampering with the heat-damaged hard drive. Immediately stop using the hard drive. Handle the crashed or affected media in a proper manner. Consult an expert and never depend on unskilled or inexperienced technicians. It is a common myth that if overheated and damaged drives are placed in a freezer, data can be easily recovered. Therefore, do not place your overheated drive in a freezer as it may cause the PCB to short, or misaligned read/write heads. Note – All these are suggested to increase the chance of recovery so that the entire drive data can be recovered with integrity. To combat hard drive crash issues that increase during summers and result in huge data loss situations, go for a professional hard drive recovery service. There are only a few expert players in this nascent data recovery industry. 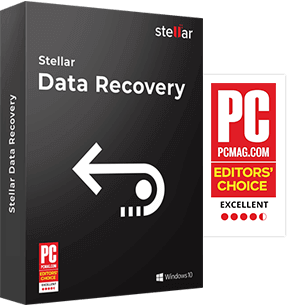 Professional experts from Stellar Data Recovery provide high­-end and out-of-the-box hard drive data recovery services on a just a call at their toll-free phone number. 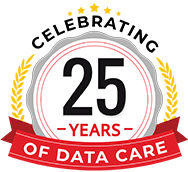 Moreover, being in this industry for over two decades, Stellar brings to the table an enriched experience in data recovery services and solutions. Having ISO certified Class 100 Clean Room facility, well-trained and experienced professionals, Stellar promises 100% hard drive recovery service with 95% success rate. Summers can best be enjoyed either being indoor or being at a poolside to protect oneself from the scorching heat. In the same way, we need to take utmost care of our hard drives and ensure to safeguard it against any crash caused due to high and increased temperature during summers. Following preventive measures can help keep your hard drives protected against crash or failure issues.